That Thing There: Prank or Art Installation? Now, I want it to be clear I don't live in a big city or hipster area or even in a college town. I live in Dearborn Heights, Michigan. While it is a perfectly nice city to live in, it's by no means a hot spot of cutting edge creativity and artistic expression. At first I thought it was printed on the label and was amused at that. 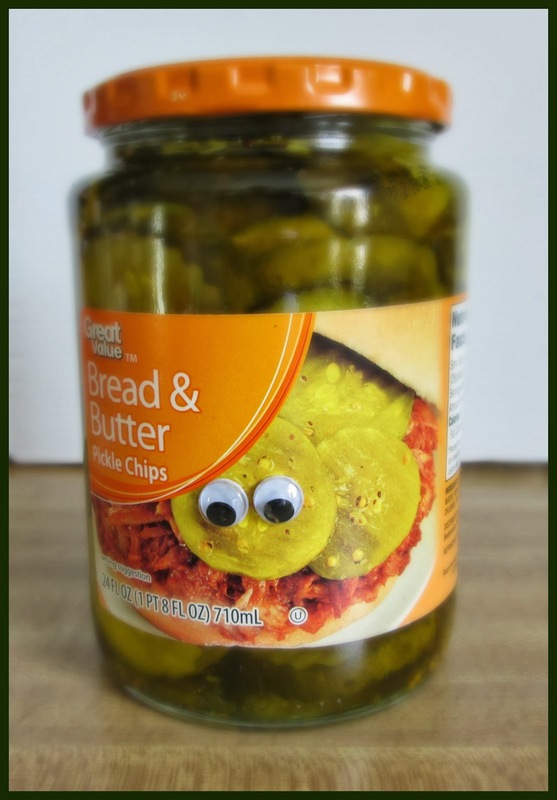 When I realized they were actual googly eyes and only on that one jar (I still thought it was some sort of marketing thing), I was thrilled and gratified because 1) Someone in my community thought this would be fun to do and 2) I was the person to receive this gift! Now, I don't know whoever did it thought it was a prank and would annoy someone or did it in a gesture of gifting a whimsical expression. Although I'll never know, I choose to see it as the latter and wish somehow I could let him or her know that the gesture was greatly appreciated. A somewhat tangential but interesting side note: via thesaurus.com, the origin of the word "happy" has its roots in "lucky" from "hap" (chance, fortune). A great majority of European words for happy at first meant lucky. A call to art: Buy self-adhesive googly eyes and place them on random labels, tags, signs (don't be too disrespectful) and know that some people may be annoyed and angered and the rest will have a bit of unexpected whimsy and pleasure injected into their day. Either way, if (one of) the purpose(s) of art is to elicit an emotion, you've done your job.